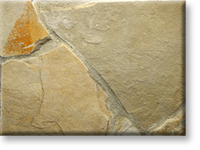 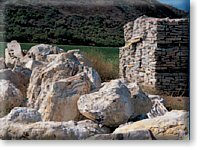 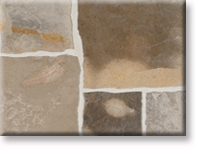 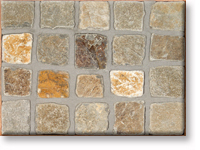 Description Lompoc Natural Ledge is a cream bodied stone that has white,gold. 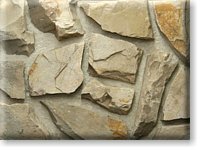 and gray highlights and can be laid with a natural stained face or cream snap cut face out, forming a horizontal dry-stacked natural look. 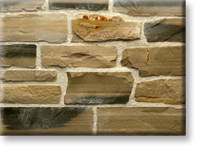 Please figure extra material if laying in a dry stack application with no mortar joints like the picture shown. 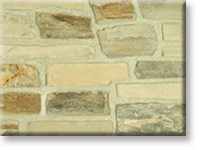 This material can also be laid with mortar joints if preferred. 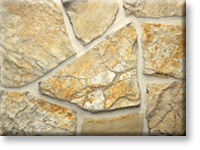 Color Light cream to golden color especially when wet.